The networking of different products and systems is becoming increasingly important, as it opens up many opportunities for all sectors involved. In keeping with this trend, Fronius has created all the documentation needed to integrate Fronius products into third-party systems and are available to download on the following pages. Fronius inverters feature various open hardware and software interfaces. Modbus SunSpec is an open, Modbus-based communication protocol that conforms to the SunSpec Alliance standard. 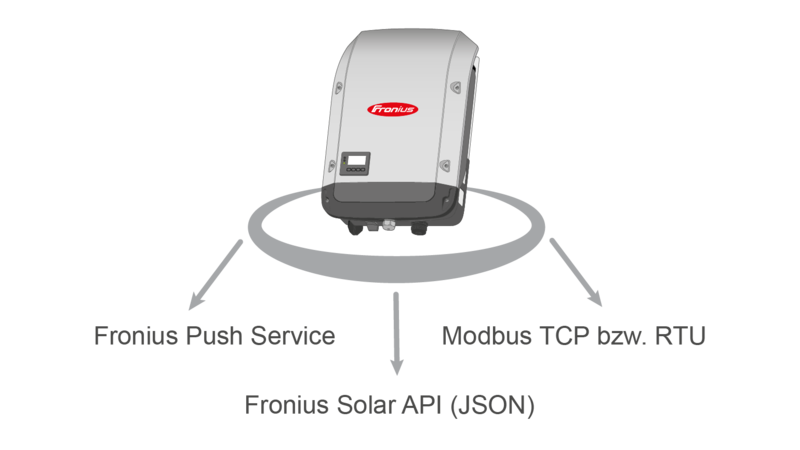 The following Fronius products feature interfaces for use with Modbus SunSpec, which enables the easy integration of Fronius inverters into third-party systems via Modbus. Note: the scale factor for calculating the power specification via Modbus has been adjusted in Fronius Datamanager updates to software versions higher than 3.7.1-5. This scale factor is not specified by Fronius – it is stipulated in the SunSpec Alliance specifications. Until now this value has always been 0, but in the new software it is set to -2. This is to facilitate more precise setting of the power specification, in particular for larger systems. This scale factor is to be viewed as an exponent (i.e. the number and direction of comma shifts). A power specification of 100% with a factor of -2 would be written as follows: 10000x10^-2 = 100%. The Modbus value for 100% would therefore be 10,000. To retain compatibility with older Fronius software versions, it is recommended that the scale factor be read correctly via Modbus. The Fronius Modbus Card update will bring your card software up to date. You will also receive the SunSpec Inverter Control Model, an additional feature for controlling the inverter using third-party components.